Founded in 1953 as Ryder and Yates and now known simply as Ryder, this multi-award winning studio has grown to become one of the largest in the United Kingdom. A varied output of buildings for education, healthcare, interior design, research and manufacturing, residential, and retail and leisure over a period of 50 years has ensured Ryder's position as the North East's leading architectural practice. This new monograph provides a comprehensive critique of Ryder's work. 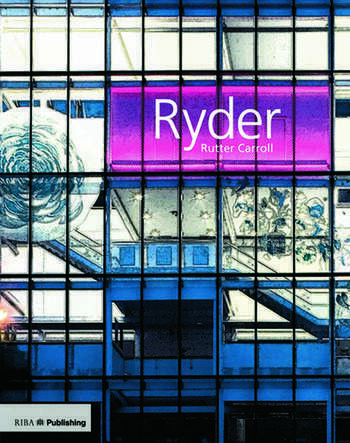 Rutter Carroll explains how the company continues to develop whilst being strongly rooted and influenced by the tradition of its founding partners. Much of the practice's early success was due to the collocation of all the principle design disciplines under one roof, and this tradition of an integrated approach has continued with the practice's adoption of BIM over the last decade. Richly illustrated with photographs and drawings and featuring text by Ryder partners, this book will explore all aspects of the practice's achievements.